By adopting smarter content discovery solutions, wireless carriers can finally compete with search and social media platforms. It’s critical to get to the consumer first. So why haven’t carriers jumped into the game yet? Carriers make titanic investments in building the mobile ecosystem, yet have been unable to capitalize on their rightful share of the money flow being generated through their networks. While carriers have dabbled in solutions aimed at engaging their subscribers, they are behind in the race and, often times, misguided. For example, carriers have pursued solutions that are very costly or time consuming - such as purchasing high cost properties or a long term data play to help brands reach subscribers. The carriers’ have smartphones that are already in the hands of hundreds of millions of subscribers, yet they continue to ignore the most valued real estate - the device itself. Through a device-centric, Content Discovery solution, carriers have an opportunity to disrupt the industry and engage and monetize their subscriber base in a meaningful way. They remain in the best position to use their device influence and change the rules by getting the right content to the right user at the right time - improving their user experience and bottom line while they are at it. Let’s take a closer look at what users want, what is at the heart of smarter content discovery, and how carriers can take advantage. In addition to productivity uses, market research shows that increasingly we use our smartphones to occupy us when we have short periods of time (“Micro-mobile moments”) we are looking to kill - while in an uber, waiting for coffee at Starbucks, or in line at the store. We also use our phones without a particular application in mind (47% of the time according to a recent Phoenix Marketing International survey). During these micro-mobile moments, we are looking for something quick and easily consumable. The smart wireless carrier will create a fun, engaging, perhaps even whimsical experience that is easy to navigate and puts something that keeps the user in the know right up front. Gone are the days where we have one go-to platform where we consume content. Content consumption happens in many forms, sizes, and places. We may head to ESPN, Washington Post, or Huffington Post if we are looking for something particular. During the micro-mobile moment, however, people are looking for something quick and easily digestible. You may not have time to read all the latest about your favorite sports team while your Starbucks is being made, but you can look at a horoscope, see what’s going viral, check out a joke of the day, or quickly scan through the news. For those micro-mobile moments, a diverse set of content aggregated on a single newsfeed that touches on a wide a variety of topics would be of much greater value. Carriers looking to take advantage of this should focus on interesting, viral tidbits of a diverse variety to capture our increasingly curious minds. The essence of smarter Content Discovery is intelligently delivering content on topics of interest without having an initiated search. 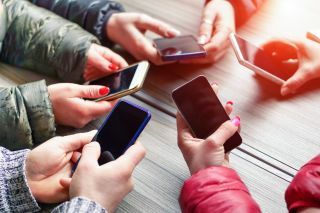 Yet, recent research from Phoenix Marketing International revealed that 61% of the time that we unlock our phones we end up on the last app we were in. Think about that - more often than not, this means our smartphones take us to where we were BEFORE as it’s “prediction” of where we want to go next. But if I was just there, why on earth would I want to go back? If you just left work, would the first place you want to go is back to work? Of course not. A “Smart”phone should be giving the curious user something interesting and new to begin the mobile journey. In other words, smarter Content Discovery will result in a smarter smartphone and, as a result, a more fulfilling mobile user journey. Understanding that people want a tailored, diverse set of content quickly brings us to the obvious conclusion for how carriers can engage the curious smartphone user: get to them first. Recent research has shown that 15% of all time people spend on Facebook is simply because it’s the first screen they see when they unlock their phones. This shows that people will end up killing time on Facebook simply by stumbling upon the app - not because they were seeking it out. This is why the true power of a smarter Content Discovery solution is reaching the customer first - right after unlock. And wireless carriers have the unique ability to intersect this by putting something in front of Facebook and other apps on unlock through their device influence. If wireless carriers don’t move soon on smarter Content Discovery solutions, they risk ceding once again to the Googles and Facebooks of the world - a scary thought long term. With so many players entering the market, the window to create meaningful engagement with their subscribers is getting thinner by the day. Through their influence over the device and vast subscriber bases, they can insert an intelligent content discovery solution on unlock before someone winds up on Google or Facebook. This enables them to intersect the mobile journey and take back some of what is rightfully theirs - dollars coming from the flourishing mobile ad revenue economy. Today they are completely shut out of that. By creating a new unlock experience, carriers can disrupt the industry and improve their user experience and bottom line - and that would truly be a gamechanger long term for the wireless carriers.